James Wan lends his by-now revered name as producer to this extrapolation of Sandberg’s short (see below.) That said, even with the expansion, it starts to run out of stem and clocks in at barely 80 minutes. In the style of his Conjuring-maestro mentor, the director certainly knows how to deliver on the bang-shock-jump moments and some of them are effective, even if the film as a whole feels sorely lacking and ridiculously reliant on cliché at other points. “Diana” is the supernatural villain here, an existential extension of troubled mom Bello, who comes to life when mom’s off her meds, which is basically for most of the movie. Diana has a problem with light so only “lives” in the dark. The obvious answer for Bellow’s kids Palmer and young Bateman is to keep the lights on, but – of course – turns out amongst Diana’s other-worldly arsenal is an ability to mess with the electrics, so the odds are stacked from the off. 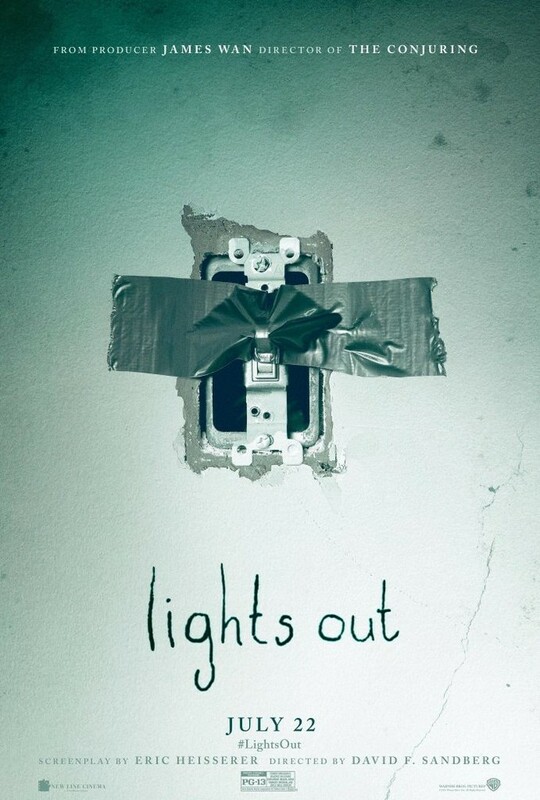 Which is indicative of the nature of Lights Out as a whole. On one level it’s a lot of fun to see a movie embrace genre clichés with such bravado. On another, you can’t help but feel that the kids from the Scream TV show would just piss themselves laughing at this. And not in a good way. Effective when it wants you to jump, lacking the finesse of its producer when anything else is going on.